-Flightsuit: Work In Progress. I found a short sleeve scrubs shirt & 2 scrubs pants. 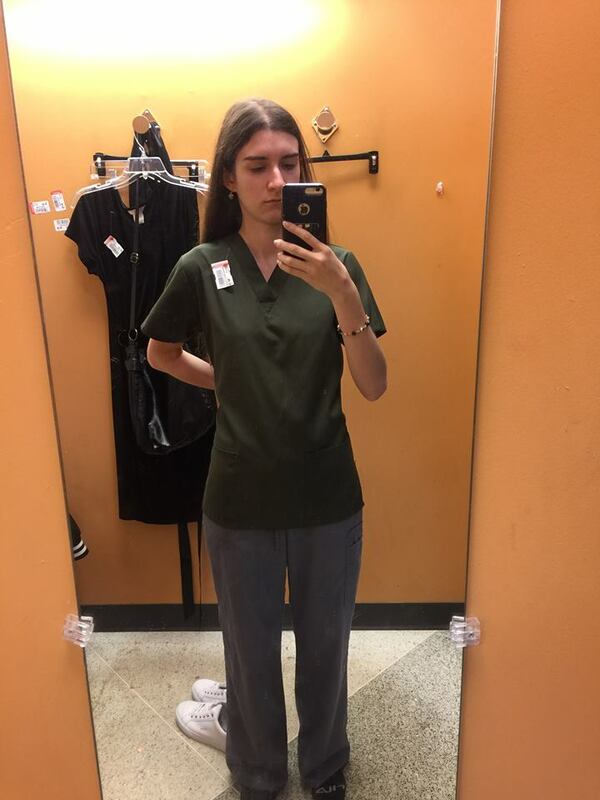 I got a 2nd scrubs pants to use the fabric from it to put longer sleeves on the shirt. All three are different colors, so I’ll be dying them. Is it easy to remove pockets? 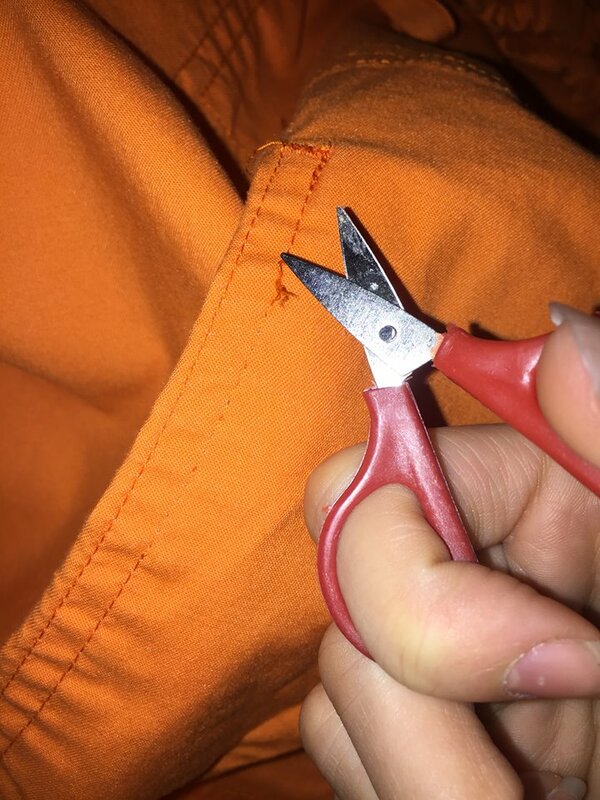 Do I just use tiny scissors to cut the tiny threads on the inside where they were sewn on? I’ve never sewn or worked on anything like this before. I want to do dark grey probably. -Vest: No Vest at the moment. I want to do a black or dark grey possibly. -Holster: No holster at the moment. I have two Jango blasters from hasbro, so I need ones to fit those, I don’t know yet if anybody sells any in my area or online. I feel it would be hard to make and this is my first kit. -Gloves: No Gloves at the moment. I want to do a burnt yellow or black gloves. -Cape: No Cape at the moment. I’m not sure what material to get, someone recommended duck cloth before? Not sure what color I want to do yet. -Boots/Wraps/Spats: None yet. I want to either do wraps or spats on the Boots. I hope spats is the right word it’s called. Someone had posted on Facebook that they took an old leather jacket’s sleeves & made spats/a boot cover on the shin ankle area, seems like a cool idea if I find any old leather stuff. Not sure if I’ll do brown or black boots. A seam ripper will make taking the pockets off a LOT easier, but tiny scissors may also get the job done. -- They're pretty easy to remove. Your belt looks great! Just be sure to weather it to match the rest of your kit when you get there! That results in this kind of setup using security door chain. I'm hanging my blaster rifle this way and it works great. Sometimes what you're talking about are called "gaiters"
I really like your concept, and I'm a fan of the angular female plates. A couple of kits in my clan are done that way. Keep it up, and keep asking questions!! Thank you Sep Ho'ban! Tiny scissors seem to be working, trying them now. Should I be worried about the tiny holes that are there when the seams/thread is taken out? Thank you for the pistol hanger pdf! 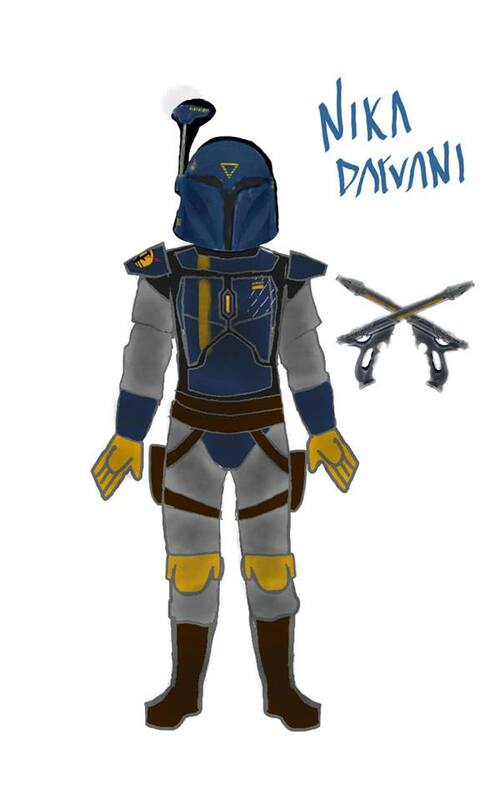 Saving this to my mando folder on my computer! Yes gaiters is the word! i also used the door hanger, and it works great, might want to attach some straps to the bottom that wrap around your leg to keep it from flapping when you walk, and yes, for the double sleeves they have to be the same color, as far as I am aware. "Nothing is true, everything is permissive. or as my momma always use to say 'there ain't a dark side or a light side only gray'. You are gonna find many of the truths we cling to depend greatly on our own point of view. '-Zane Ordo on his view of the force. The double sleeves don't have to be the same color. The short sleeve part from shoulder to bicep-ish has to be the same color. The part that goes the rest of the way to your wrist does not. The tiny holes are nothing to worry about. Looking good! Just try to do a little bit each night, and you'll be surprised how soon you have your stripes! You've got a solid plan and are asking a lot of great questions which really helps with keeping a build moving along. To dye your belt it depends on what its made from and how much effort its worth. Leather can be re-dye though I couldn't tell you how exactly, and I've also heard of cosplayers using leather/pleather paint, Angelus is the brand often mentioned, to recolor leather and fake leather parts. I'll put Angelus paint in my notes, thank you!! 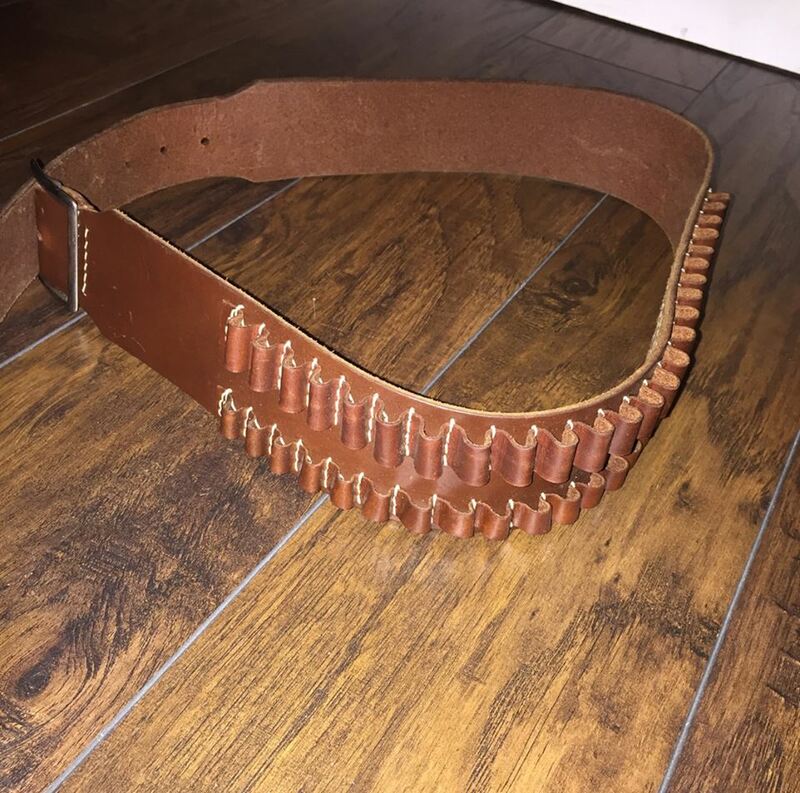 If I were to use this ammo belt I got from a pawn shop, what could I put on the loop things? Obviously not bullets because blasters in Star Wars have laser blasts. I guess pouches, trophies? 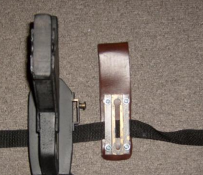 I'm not sure if anybody has used a belt like this with these bullet loops on them before & how they decorated it. I do want to dye them a darker brown possibly in the future. Hey there, hi there, ho there. 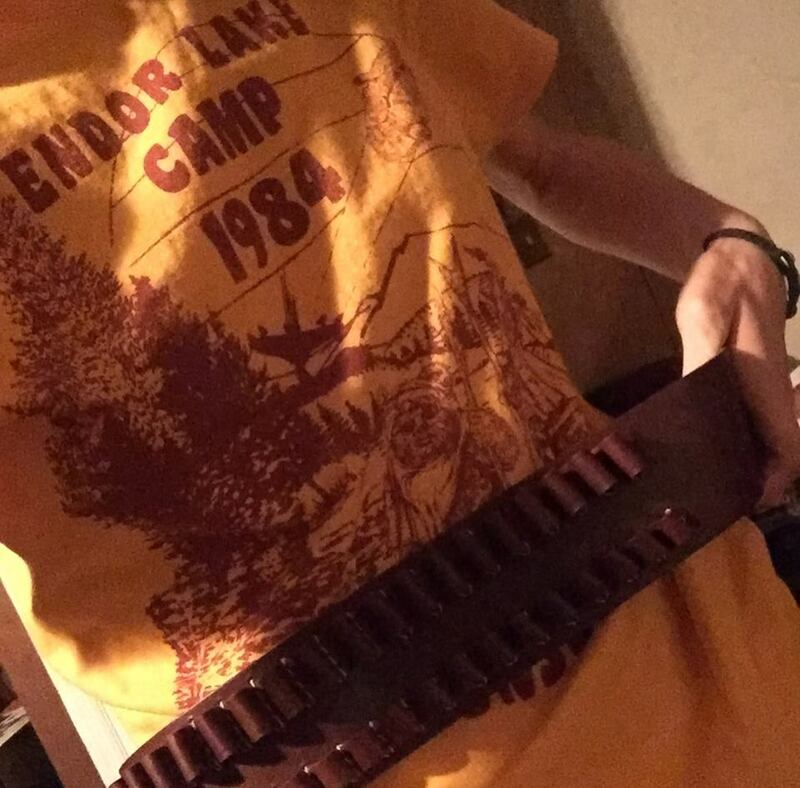 Thats a nice belt. You could put power packs in it if you have a look at some other threds in here you can see what othees have done. I have seen quite. Afew people use them. The word on the sole should not be a problem.